Metro Business Solutions was recently acquired by The dTech Group/DTECH Computerists, Inc, a family owned business serving Oklahomans for more than 40 years. The sale means clients now have access to more products and services, including wide-format printer repair, software development, network implementation for cabling and wireless, network management, and network troubleshooting . To learn more about dTech, or to speak with a technical representative, please visit http://www.dtechgroup.com/ or call 918.622.6966. If you have questions about the sale of Metro, please contact Harv at (918) 585-9988 or harv@dtechgroup.com. Hewlett-Packard - HP wide-format DesignJet plotters/printers, even older HP printers, like the HP Designjet 500, HP Designjet 800, HP Designjet 1050, HP Designjet 750, 4000 series, 5000, 5500, 6000, 6100, 25500 series. All T-series and all Z-series DesignJets are covered. For all plotters/DesignJets/wide-format, please call. please call to check out problem. We always work on-site for the larger printers, like DesignJets. or if you have upgraded your computer or operating system, then we can help. worth repairing or fixing (at no cost to you). for your HP Designjet printer or HP Designjet plotter: we charge for support. We service HP printers and plotters in Tulsa, Tulsa suburbs, and Tulsa environs, like Broken Arrow (BA), Jenks, Owasso, and Bixby. We cover a wider area for Designjet printers like, Kansas, Missouri, and Arkansas. We sell some used HP printers/plotters, as well as, new HP equipment. Click here to see the latest list of USED / REFURBISHED HP Printers, HP Copiers, and HP Fax's. Call 918.622.6966 in Tulsa to have any printer questions answered. 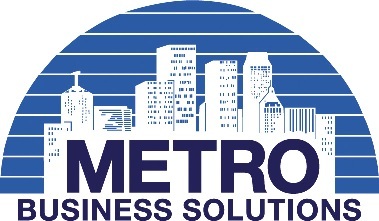 Metro Business Solutions, Inc. is a locally owned and operated business and has been in Tulsa, Oklahoma since 1974 fixing your HP printer, HP copier, and HP fax problems.